Young Gordon Van Zandt valued duty and loyalty to country above all, so after 9/11, he dropped out of college and joined the Marine Corps. This idealism vanished one fateful day in a war-torn city in Iraq. 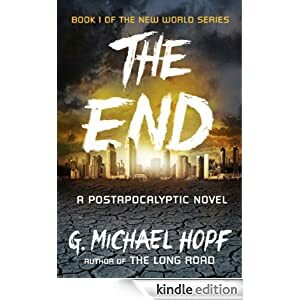 Ten years later, he is still struggling with the ghosts of his past when a new reality is thrust upon him and his family: North America, Europe and the Far East have all suffered a devastating Super-EMP attack. With civilization in chaos, Gordon must fight for the limited and fast dwindling resources. He must make some of the most difficult decisions of his life in order to ensure his family’s safety. Buy this exciting novel today for only $1.99.